From the fact that the Lord Jesus pronounced “seven woes” that revealed and dissected the chief priests, scribes, and Pharisees from religious circles during the Age of Law, we can see that most of the religious leaders were hypocritical Pharisees and had long since been satanic evil forces opposed to God. This is already an indisputable fact. The “seven woes” of the Lord Jesus which exposed the Pharisees had already revealed the darkness and depravity of religious circles to be no different from that of the secular world. So people can completely see that the actions of the chief priests, scribes, and Pharisees of religious circles were not serving God at all, but were rather defying and opposing God. They had the positions of priests and leaders who served God, yet they didn’t practice truth and righteousness. Rather, they performed all manner of awful deeds, and they even treated the incarnate Christ as an enemy, condemning and persecuting Him and nailing Him to the cross. Having committed these great sins, how could they not incur God’s wrath? This is why God hated them and was wrathful toward them, and why He revealed, judged, and condemned them. This is completely natural. This shows us that God does not allow anyone to offend His righteous disposition. In the Age of Grace, God had long since despised and hated the various evil acts against truth and Himself performed by these chief priests, scribes, and Pharisees of religious circles. The merciless revelations and judgments He used against them illustrate that God is righteous and holy. God has never commended those in religious circles that serve God yet defy Him. God became flesh precisely for the purpose of coming to the human world personally to search for His sheep, to save all who love truth and can hear the voice of God. God picks all those that wholeheartedly want God, and who can accept the truth. During the time of the Lord Jesus’ preaching, the chief priests, scribes, and Pharisees of religious circles all became targets of God’s condemnation and elimination. This reveals God’s righteousness and holiness. Only God is lovable, dear, respectable, and trustworthy, and the leaders, scribes, and Pharisees of religious circles were all hypocrites, full of lies, deceit, insidiousness, and evil. They were all the ilk of vipers that deceived and controlled people and defied God. They were precisely the type of people that should be abandoned. During the Age of Grace, when the Lord Jesus was carrying out His redemptive work, no Judaic chief priests, scribes, or Pharisees ever came before the Lord Jesus in repentance. Nor did many Pharisees truly reflect on and regret their own evil deeds after the Lord Jesus was nailed to the cross and completed His redemptive work. If there were, there were only a few individuals. These facts are enough to prove that the chief priests, scribes, and Pharisees of religious circles were all demons who hated the truth and defied God. No matter how much evil they performed, even nailing the Lord Jesus to the cross, they never regretted their sinful actions. This issue is truly thought-provoking. Here it is not difficult to see that most leaders in religious circles are false shepherds that serve God yet defy God. They are truly antichrist demons—the embodiment of Satan. Yet, many people who believe in God still worship and follow them. This is enough to show that humans are totally corrupt, and they have already been deceived by lies and sin. Satan has blinded their eyes. Though they have been ruined by the demons, they still stubbornly refuse to change, as if they were already dead. Thus, we can see how difficult God’s work of saving these deeply corrupted humans is! This is a key issue that all corrupt humans should reflect on and understand. 1. They only engage in religious rituals and maintain and pronounce mankind’s inheritance and doctrines, but they abandon God’s commandments. They never teach people to submit to God, know Him, or listen to His words. They do not speak at all of the reality of truth, and never use God’s words to reveal the darkness in religious circles to let people know about the age of evil. 2. They do not revere God at all. They do not have a place for God in their hearts, and they even greedily and sneakily take from offerings made to God. They can’t truly serve God, but they take offerings made to God as their livelihoods, and they often call upon and force people to donate so that they can live more luxuriously, making themselves true vampires and parasites. 3. They compass land and sea to seduce people into their church, and once they do, people are deceived and controlled into becoming their slaves. They do not give people the right to choose the true way freely, and they do not allow people to investigate the true way or to seek out God’s appearance and work, causing them to be reduced to being the children of hell. It is the blind leading the blind, and all will fall into the pit. 4. In their preaching, they often steal God’s glory in order to show themselves off and bear witness to themselves for people to imitate, admire, and follow, making people idolize them in order to entrap and control them. They never honestly and truly bear witness to God and honor God as great, so that people will submit to and worship God. 5. They hate the truth and are especially jealous of people who pursue and understand the truth: They suppress, reject, and condemn them. They only allow people to worship and follow them, yet they impede and restrict people from accepting Christ, and they seal off the churches because they are afraid of people witnessing God’s work in the last days. 6. In order to save their own positions and livelihoods, they even invent all sorts of rumors and lies to slander, condemn, and blaspheme Christ of the last days, Almighty God. They fill everything with darkness, and they would even prefer a life and death struggle against God to the end. It is obvious that they do not serve God but rather their own positions and livelihoods. 7. They don’t admit the fact of God’s incarnation, nor do they believe in the word and work of God incarnate in the last days. This is enough to prove that they all have the nature and substance of antichrists who hate the truth, and they walk the antichrist’s path of serving God but defying and opposing God. 2. They treat God’s words as human words, and they say that there are evil spirits in God’s words that bewitch people when they read them. This is a serious blasphemy against God. 3. They describe God’s work in the last days as the work of evil spirits, which is like saying the work of the Holy Spirit is the work of evil spirits. This is a blasphemy against the Holy Spirit. People in the religious circles are spreading serious blasphemies against God in these three aspects. If they were truly people that revered God, they would absolutely not dare to say such things. Thinking back to our Lord Jesus’ preaching days, at that time there were religious people who said that the Lord Jesus used Beelzebub, the king of demons, to cast out demons. That was truly committing the sin of blaspheming against the Holy Spirit. The Lord Jesus said, “All manner of sin and blasphemy shall be forgiven to men: but the blasphemy against the Holy Spirit shall not be forgiven to men” (Mat 12:31). In today’s religious circles, most leaders and pastors go around spreading rumors and slander that blaspheme the Holy Spirit. Regardless of what their intentions and goals may be, they have already committed the sin of blaspheming the Holy Spirit. 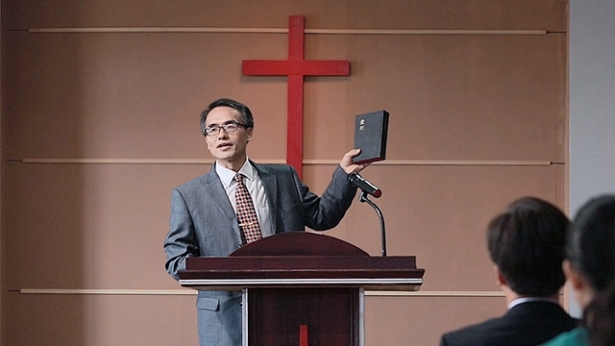 Those that truly revere God would never dare to speak so carelessly without conducting a detailed investigation into the true way, yet they have passed judgment arbitrarily that Eastern Lightning is the work of evil spirits, and that people are deceived in the moment they hear its message. This is utterly ridiculous! … Most pastors and leaders in religious circles have already been revealed as precisely those that walk the path of the antichrist. To keep their own status and livelihood they struggle in desperation against Christ until the end. Their hearts are hard to the core, they have no repentance, and they think that God will ultimately reach a compromise with them, revealing Himself and calling to them from heaven just like the Lord Jesus did to Paul during the Age of Grace. To nail God to the cross and then wish to receive God’s mercy is shameless to the extreme. They are foolish and uncompromising until death, displaying the “unyielding heroic” attitudes typical of the “heroic spirit” of religious dynasties. This fulfills the prophecy in the Book of Hebrews in the Bible: “For if we sin willfully after that we have received the knowledge of the truth, there remains no more sacrifice for sins, But a certain fearful looking for of judgment and fiery indignation, which shall devour the adversaries” (Heb 10:26–27). … This is a key period for spreading the gospel of the kingdom. Many people, when investigating the true way, become dazed and deceived by the lies and rumors of the antichrist demons in religious circles. They are deceived by the great red dragon’s fallacies and heresies, so they dare not accept the true way. Many other people, when investigating the true way, are impeded and deceived by leaders and pastors in religious circles, so they cannot come before God. This is how their lives are ruined and suffocated by religious leaders, pastors, and the great red dragon. For pastors and leaders in religious circles to fight with God over His chosen ones is depravity to the point of being enemies of God. They do not remotely give God’s chosen the right to investigate the true way or choose freely. This evil fact adequately elucidates that they, like the great red dragon, are demons that trample on and swallow whole human lives and souls. They have already committed this heinous sin of offending God—doesn’t the fact that they can so wildly hinder people from accepting the true way and returning to God expose them as Satan’s accomplices and allies? The blood debt they owe to humanity must be paid in full. God will repay them based on their own individual actions, and this is the essential reason that God does not reveal Himself and work within religious circles in His incarnation in the last days. How the Lord Jesus hated, exposed, and judged the chief priests, scribes, and Pharisees of religious circles is how Almighty God in the last days hates, exposes, judges, and condemns the pastors and elders of modern religious circles who walk the path of the antichrist. You can see that when God has appeared in the flesh to work again, although His name has changed, His disposition and essence have not. God is always God, humans are always humans, and Satan is always God’s enemy. These are unalterable facts. 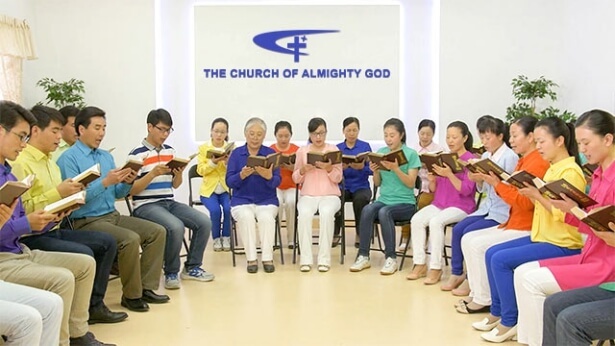 People must clearly see the essence and truth of religious circles serving God yet defying God, so that they can accept the true way, obey God’s work in the last days, and attain God’s salvation. This is a matter of urgency and cannot be delayed, for God’s day is coming. As Almighty God says: “What you should understand is this: The work of God never waits for any that cannot keep pace with Him, and the righteous disposition of God shows no mercy to any man” (“Christ Does the Work of Judgment With the Truth” in The Word Appears in the Flesh). There is a fact we can see within the Bible: During the Age of Grace, not only did the Lord Jesus not call on the chief priests, scribes, and Pharisees of religious circles, but on the contrary, He exposed and judged them. In particular, all those involved the Lord Jesus’ crucifixion were severely punished, and all of them suffered terrible fates. This is a fact recognized by all. Could Almighty God who comes in the Age of Kingdom be merciful and forgiving to the antichrist forces in religious circles? Absolutely not—this is because God is righteous and holy, and God does not allow anyone to offend His disposition. Almighty God has already determined their endings, and has clearly revealed the sinful fact of most pastors and leaders in religious circles today resisting God. Let us see what Almighty God says: “Do you wish to know the root of why the Pharisees opposed Jesus? Do you wish to know the substance of the Pharisees? They were full of fantasies about the Messiah. What’s more, they believed only that the Messiah would come, yet did not seek the truth of life. And so, even today they still await the Messiah, for they have no knowledge of the way of life, and do not know what the way of truth is. How, say you, could such foolish, stubborn and ignorant people gain God’s blessing? How could they behold the Messiah? They opposed Jesus because they did not know the direction of the Holy Spirit’s work, because they did not know the way of truth spoken by Jesus, and, furthermore, because they did not understand the Messiah. And since they had never seen the Messiah, and had never been in the company of the Messiah, they made the mistake of paying empty tribute to the name of the Messiah while opposing the substance of the Messiah by any means. These Pharisees in substance were stubborn, arrogant, and did not obey the truth. The principle of their belief in God is: No matter how profound Your preaching, no matter how high Your authority, You are not Christ unless You are called the Messiah. Are these views not preposterous and ridiculous? I ask you again: Is it not extremely easy for you to commit the mistakes of the earliest Pharisees, given that you have not the slightest understanding of Jesus? Are you able to discern the way of truth? Can you truly guarantee that you will not oppose Christ? Are you able to follow the work of the Holy Spirit? If you do not know whether you will oppose Christ, then I say that you are already living on the brink of death. Those who did not know the Messiah were all capable of opposing Jesus, of rejecting Jesus, of slandering Him. People who do not understand Jesus are all capable of denying Him, and reviling Him. Moreover, they are capable of seeing the return of Jesus as the deceit of Satan, and more people shall condemn Jesus returned to flesh. Does not all of this make you afraid? What you face shall be blasphemy against the Holy Spirit, the ruination of the words of the Holy Spirit to the churches, and the spurning of all that is expressed by Jesus. What can you gain from Jesus if you are so befuddled? How can you understand the work of Jesus when He returns to flesh on a white cloud, if you obstinately refuse to realize your errors? I tell you this: People who do not accept the truth, yet blindly await the arrival of Jesus upon white clouds, will surely blaspheme against the Holy Spirit, and they are the category that shall be destroyed. You merely wish for the grace of Jesus, and merely want to enjoy the blissful realm of heaven, yet you have never obeyed the words spoken by Jesus, and have never received the truth expressed by Jesus when He returns to flesh. What will you hold up in exchange for the fact of Jesus’ return upon a white cloud? Is it the sincerity in which you repeatedly commit sins, and then confess them, over and over? What will you offer in sacrifice to Jesus who returns upon a white cloud? Is it the years of work with which you exalt yourselves? What will you hold up to make the returned Jesus trust you? Is it that arrogant nature of yours, which does not obey any truth?” (“When You Behold the Spiritual Body of Jesus Will Be When God Has Made Anew Heaven and Earth” in The Word Appears in the Flesh). Think about the Age of Grace, when deeply corrupted humankind nailed the Lord Jesus to the cross. What exactly was the nature of their action? To be able to turn the Lord Jesus, who preached the way of the kingdom of heaven, over to the king of the devils, and on top of that to say that the Lord Jesus must be nailed to the cross, and that they would rather free a robber than not crucify the Lord Jesus—were such corrupt humankind not demonic? Only demons could hate God so much that they would engage in a deadly feud with God. The chief priests, scribes, and so many followers shouted in unison that the Lord Jesus must be crucified; they could only have been a crowd of demons that hated God, isn’t that so? Now, don’t most pastors and leaders in the religious community, along with many believers, also condemn Almighty God with one voice? Are these not demons that are opposing God? Especially now, when the great red dragon madly resists and condemns God’s work, the religious community also takes the side of the great red dragon, and even joins together with it to resist God, condemn God, and blaspheme God. The human race is thus witnessing the religious community and the great red dragon together forming a united battle line and joining together in Satan’s camp. The religious community has long been the accomplice of Satan, which thoroughly reveals that the evil and corrupt essence of the religious community’s serving God is, in fact, resisting God. This completely proves that the words the Lord Jesus spoke that exposed and judged the Jewish Pharisees, revealed precisely the same corrupt and evil essence of the religious community today. The resistance to God of the religious community today equals or surpasses that of the religious community in the Age of Grace. They are a demonic group of antichrists that God has rejected and condemned, and they belong completely to the evil forces of Satan. From this, it is evident that the corruption of the human race has reached an extreme where it could actually once again crucify Christ, who in the last days is delivering truth and passing judgment. This is enough to show that the human race has been so corrupted by Satan that it has turned into demons. … The judgment and chastisement of God in the last days are the work of bringing Satan’s destiny to an end. Is it likely that God will show leniency to these demonic antichrists of the religious community that are engaged in a deadly feud with the real God incarnate of the last days? Everyone can wait and see what a sight it will be when the nations and peoples of the world witness the public appearance of God. Why will the peoples wail? Then the truth will be brought into daylight! Previous：Question 33: Most people within religious circles believe that the pastors and elders have been selected and established by the Lord, and that they are all people who serve the Lord within churches; if we follow and obey these pastors and elders, we are actually obeying and following the Lord. As to what exactly is meant by obeying and following man, and what exactly is meant by obeying and following God, most people don’t understand this aspect of the truth. Please fellowship on this. Next：Question 35: Although pastors and elders hold power within religious circles and they walk the path of the hypocritical Pharisees, we believe in the Lord Jesus and not in them, so how can you say that we also walk the path of the Pharisees? Can we really not be saved through our faith within the religion?